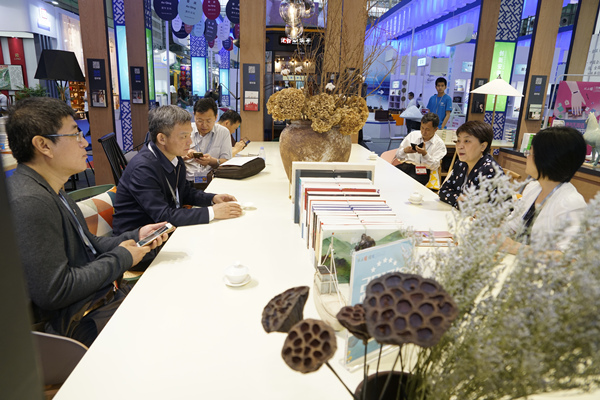 The 14th China International Culture Industries Fair (ICIF) was held in Shenzhen, South China's Guangdong province, from May 10th to 14th .This year's Wenbo meeting is the first of its kind since the victorious holding of 19th National Congress of the Communist Party of China (CPC) and also an important exhibition on the occasion of the 40th anniversary of reform and opening up. On the morning of May 10th,Huang Kunming, member of the Political Bureau of the Communist Party of China (CPC) Central Committee and head of the Publicity Department of the CPC Central Committee, visited the Anhui pavilion in the company of Wang Cuifeng, vice governor of Anhui province, Cao Longcan , deputy director of Provincial Party Committee Propaganda Department and other leaders. Wang Cuifeng (second from right), Cao Longcan (second from left), and others inspect the group exhibition area. Cao jie, on behalf of the group, receives the award at the press conference. Cao jie, Guo Hongbin, Xiao Jinhe and other staff members take pictures in the group exhibition area. In the Anhui pavilion of "Innovative Anhui, Creative life",within the 135 square meters' exhibition area,Anhui Xinhua Distribution Group displays the new format of the development of the integration of culture and technology and the new achievements of the innovation and development of digital culture under the theme of"Wen Bo Shenzhen, Boundless U ".With the shared bookstore as the main exhibiting substance,the group attracted visitors from all over the world through series of events. 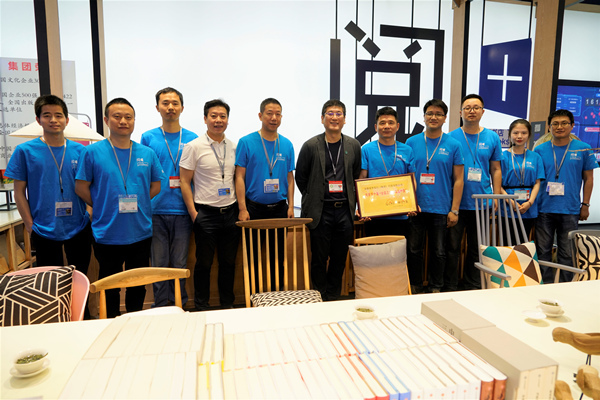 Wang Cuifeng gave full affirmation of the group's exhibition area,saying the book-sharing is creative and thoughtful.Shared bookstore is a kind of innovative development and sharing development as well.It is also to carry out unswervingly the development idea with the people as the center .The innovation of the shared bookstore embodies the new thinking and new direction of the group in the cultural construction, and is also the concrete embodiment of the cultural confidence. 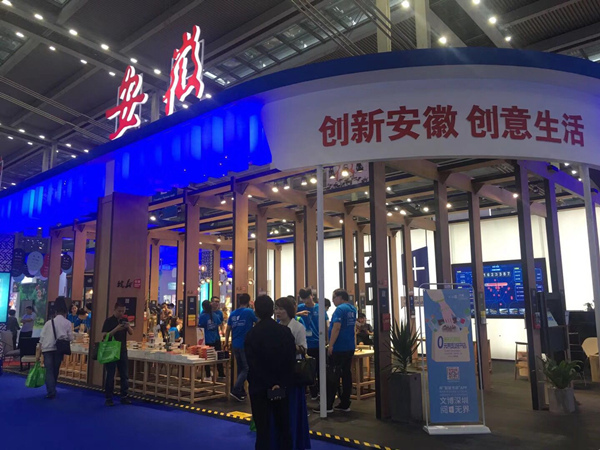 The shared bookstore displayed at the exhibition introduces facial recognition technology with the combination of the applied technology of Internet of things . The user can quickly complete the book-borrowing and returning procedure in the "Wisdom Study" APP by scanning the face. 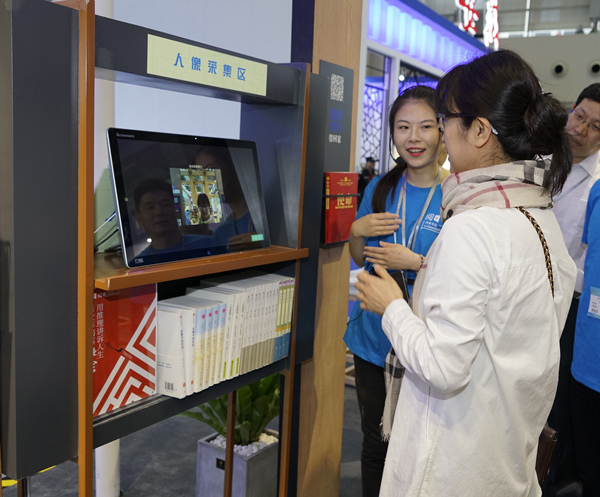 "To combine facial recognition technology with books and bookshops and to borrow and return the books through scanning the face is a very pleasant experience " said the on-site visitors. 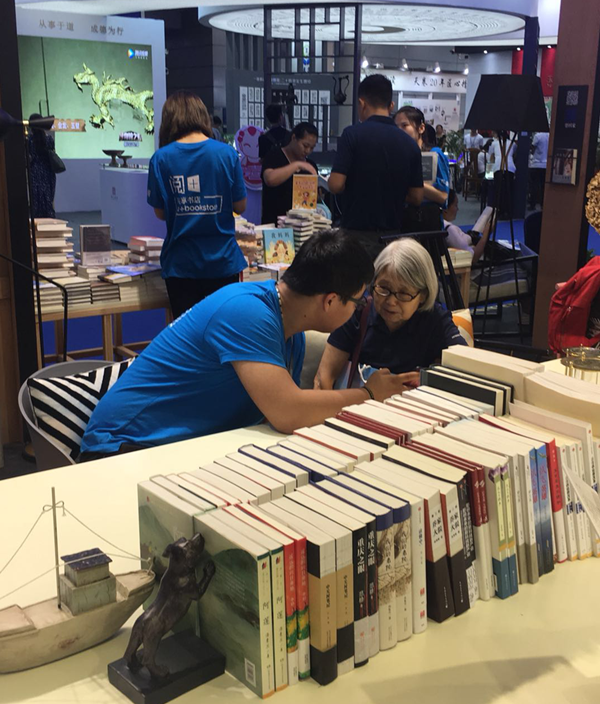 In a series of events launched at the exhibition, "Borrowing books with no return, 0 yuan to take a bookstore" attracted many readers .During their visits to the shared bookstore exhibition, after downloading the APP and successfully borrowing books, users can invite friends to cut the prices through the "borrow to buy" function. They can take away the books without paying any money.Similar activities aimed at providing more convenient and low-cost reading experience for the visitors in the ICIF will truly promote the sharing of reading and improve the quality of nationwide reading. The group booth is wide open in 3 sides and there is no partition wall only with a back wall,which shows the concept of "Openness , Inheritance, Science & Technology , Sharing and Life".The design is to exemplify that the bookstore nowadays is as inclusive as the internet to make reading more convenient and boundless.The spectacular appearance of the group booth attracted wide attention and was awarded the outstanding exhibition prize by the organizing committee of the 14th ICIF. 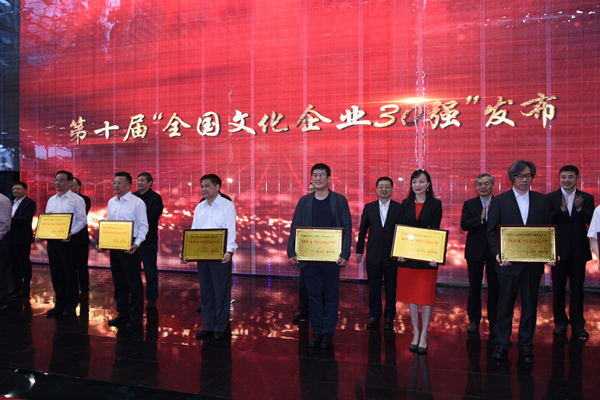 At the session, the 10th China Top 30 Cultural Enterprises list was released, and Anhui Xinhua Distribution Group was selected for the ninth time. 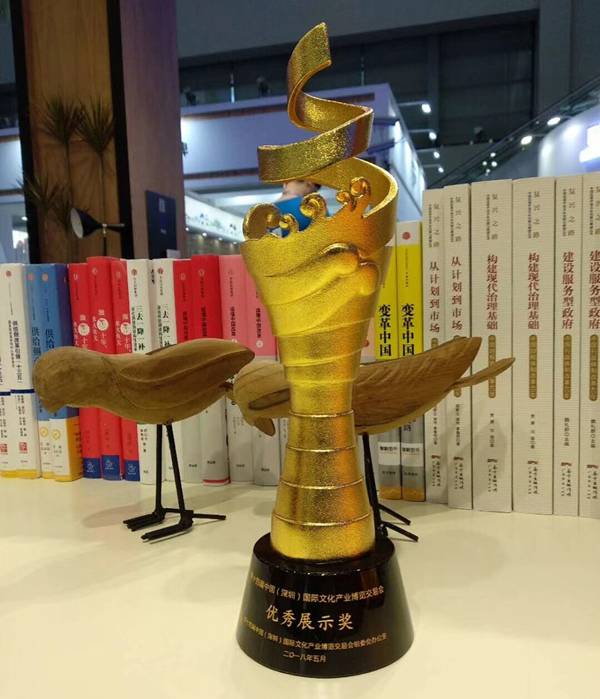 In addition, such enterprises invested by the group as Himalayan FM, VIVA, Hujiang.com and others also participated in the 14th ICIF.